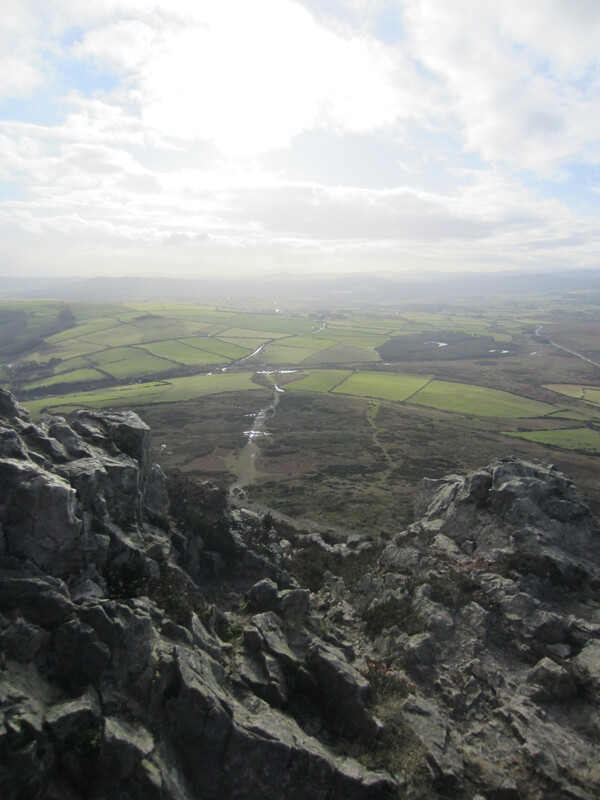 If you are looking for a reasonably short climb with a great view then you must visit the Great Sugar Loaf (often just called the Sugar Loaf). 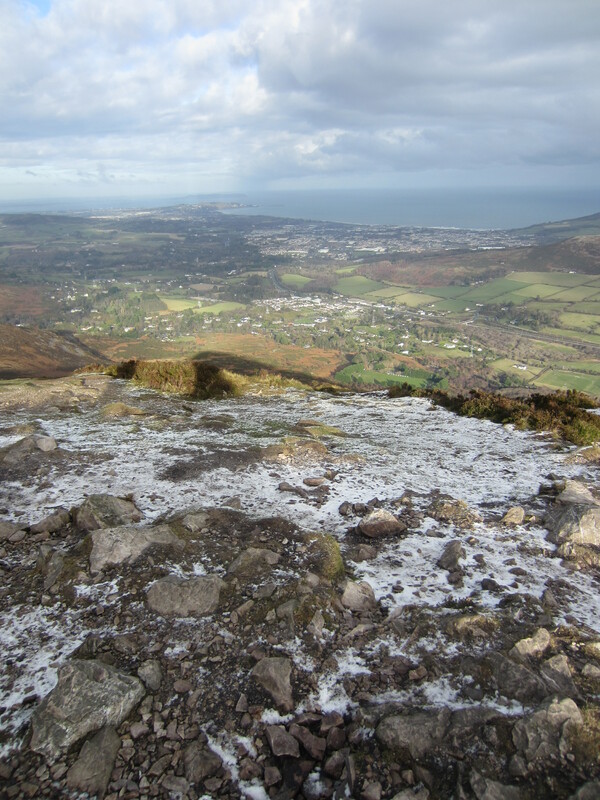 The Great Sugar Loaf (Beannach Mhór) is located in County Wicklow, south of Bray. 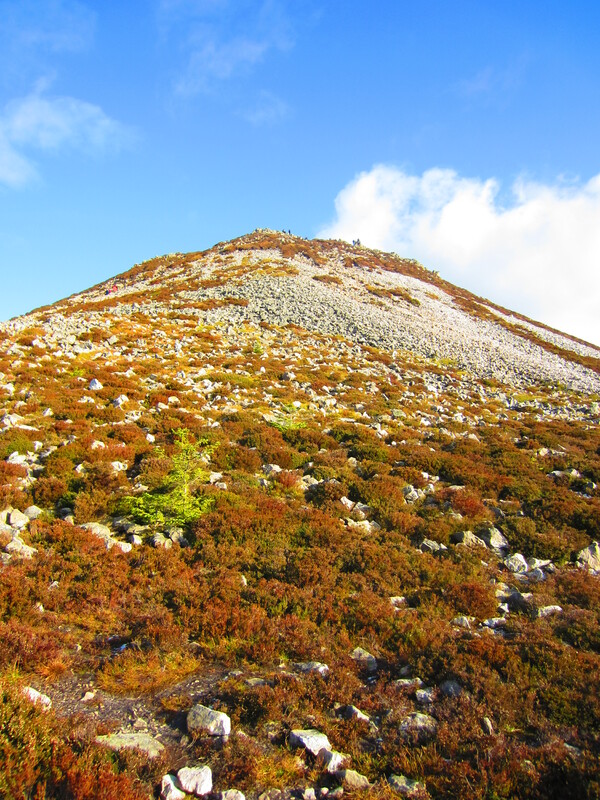 It’s roughly 30-40 minutes drive from Dublin. 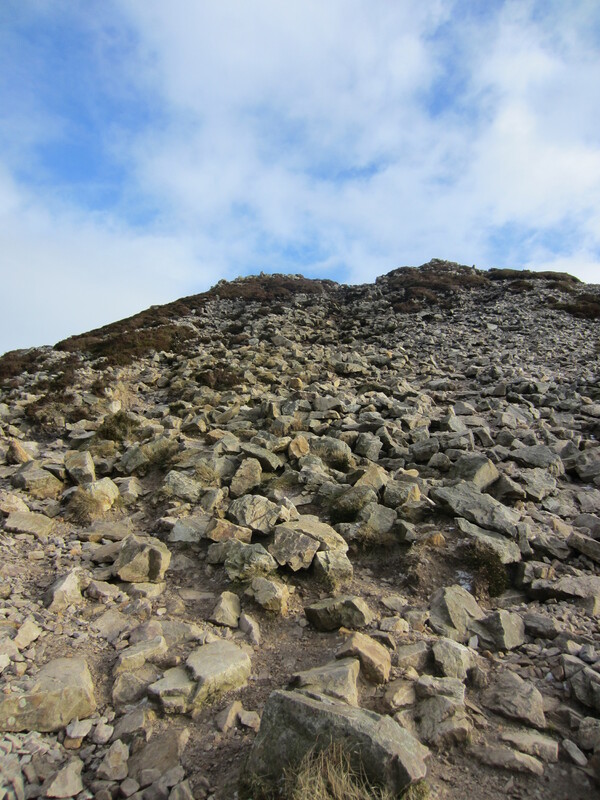 The short route starts at the car park at the base of the hill (link to car park @ 53.144442, -6.154727) and the climb up and down takes about 1 hour in total. 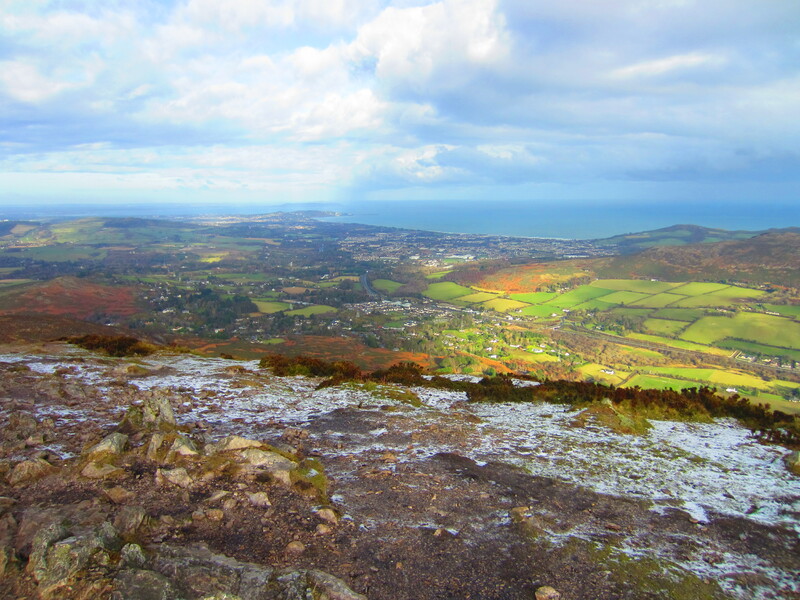 From the top you have a great view of Bray, Greystones and Dun Laoghaire. 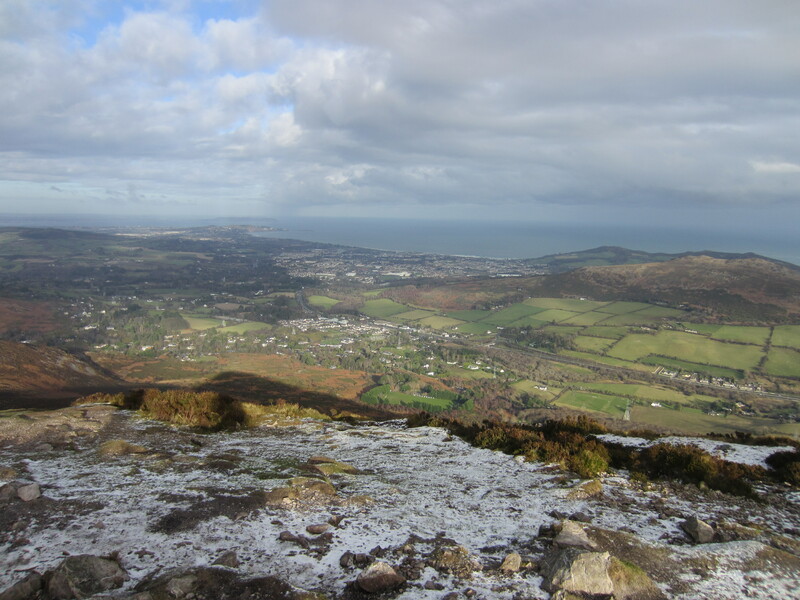 On a clear day (like we have in the pictures) you can see Howth Head also. 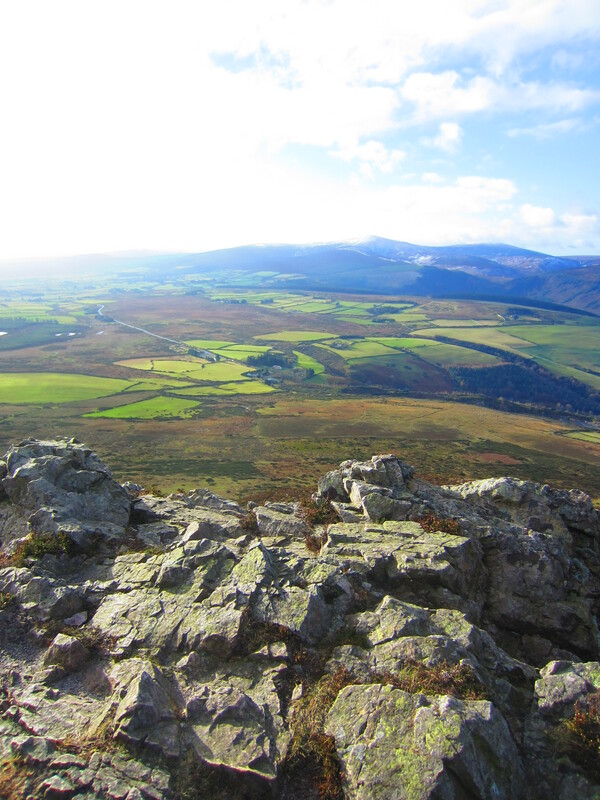 Just be aware that the path up has lots of loose rocks and you have to climb a bit of rock in the end. There is a longer hike up to this hill but we will cover that another day. Our pictures were taken on a cold January afternoon. Enjoy!